As winter approaches, the need to bundle up becomes more prevalent. From top to bottom, we pile on layers to keep ourselves from the bitter cold. Although I made this particular hood for my costume this Halloween, once made, I realized how warm this actually is (since I wore it all night long). Many of my blog followers on Facebook and Instagram inquired about me making a video tutorial for this project. It occurred to me that this would be perfect for the season as winter apparel. It offers a very stylish option, and it is very different than your average winter hat or scarf. This is a cat hoodie of course, however, it is also very versatile. You do not have to put on the ears, or you can replace the ears with bear ears or fox ears. Custom make this to any animal of your choice! The creativity that is in this project knows no bounds! You could take it to a different level and line the face with fur around row 1. I’m sure you will find this to be a very fun and easy project. 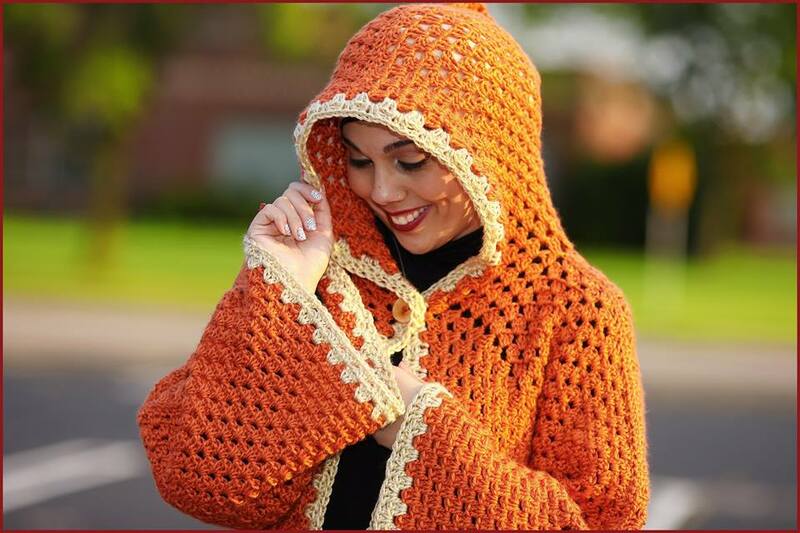 These make great gifts, and they are incredibly warm to wear! When I was looking up inspiration online for the Cheshire Cat, I came across this photo. I could NOT find a pattern, but knew I could make one myself. This photo served as the inspiration to the hood I made. The original designer for this hood shown below is Archaical. You can find her work here on here website or here on her Facebook. Below are some more photos from this Halloween. You can see Nate and my full length costumes as well as a close-up. 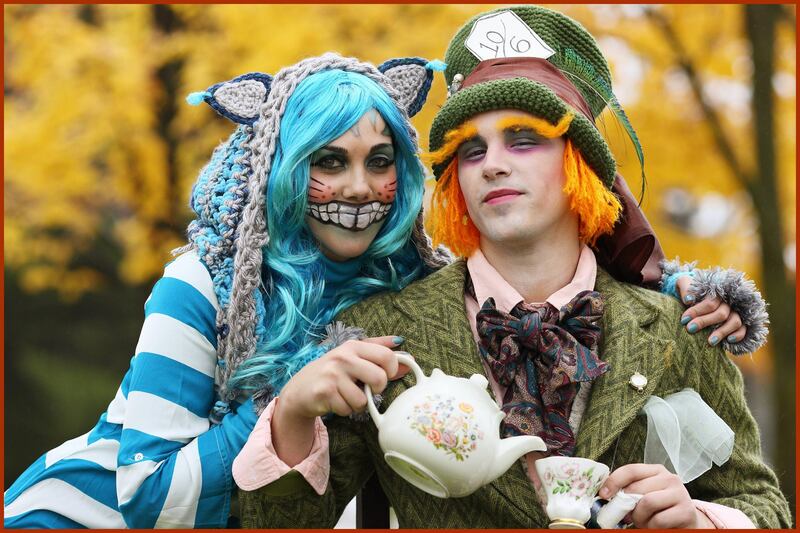 I tried to pay attention to the details in creating both ensembles to emulate the characters from Alice in Wonderland. If you are interested in making the full costume, You can find the Leg Warmers pattern here. You can find the Hand warmer Paws Pattern here. 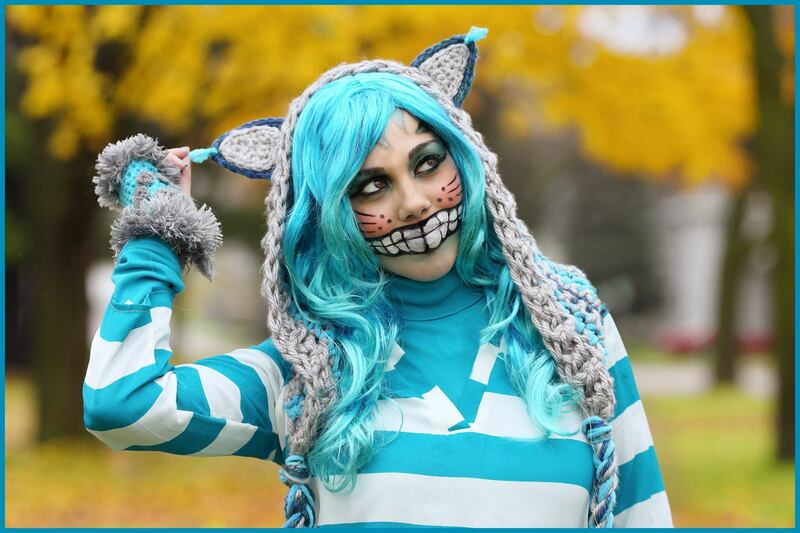 You can find the Cheshire Cat Tail pattern here. And you can find the Top Hat that Nate is wearing right here! Enjoy! 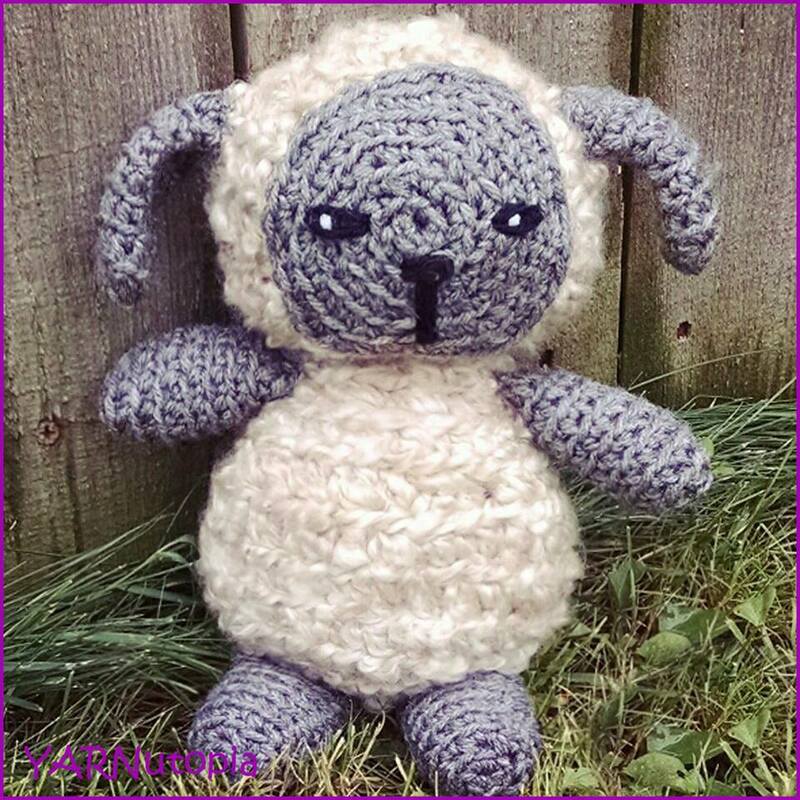 Continue to single crochet all the way around the triangle, fasten off with long tail for sewing. Attach gray part of ear to blue part of ear, sew ears to hoodie between rows 2 & 3, weave in all ends.